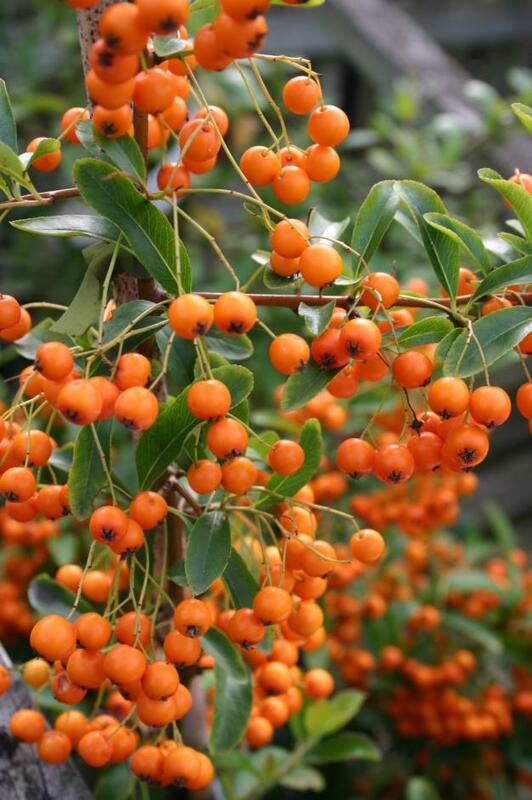 You either love them or hate them however at this time of year Pyracantha come into their own with a fantastic show of berries. They are vigorous growers and are valuable structural plantsbut I do recommend that they are grown away from pedestrian areas as the long, very sharp thorns are fairly antipersonnel. The branch structure is dense and angular with evergreen foliage which results in them being good plants for screening. Put all those attributes together and you will find it is a good perimeter shrub deterring the most persistent intruder. It is also excellent if grown against a wall. New plants should be planted in well dug soil enriched with well rotted manure. 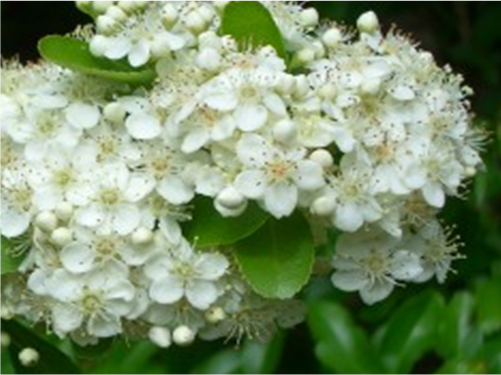 They are a good shrub for attracting wildlife to the garden providing dense and secure cover for nesting birds, the mass of white flowers in summer attract bees and of course the abundance of berries at this time of the year are a good food source. 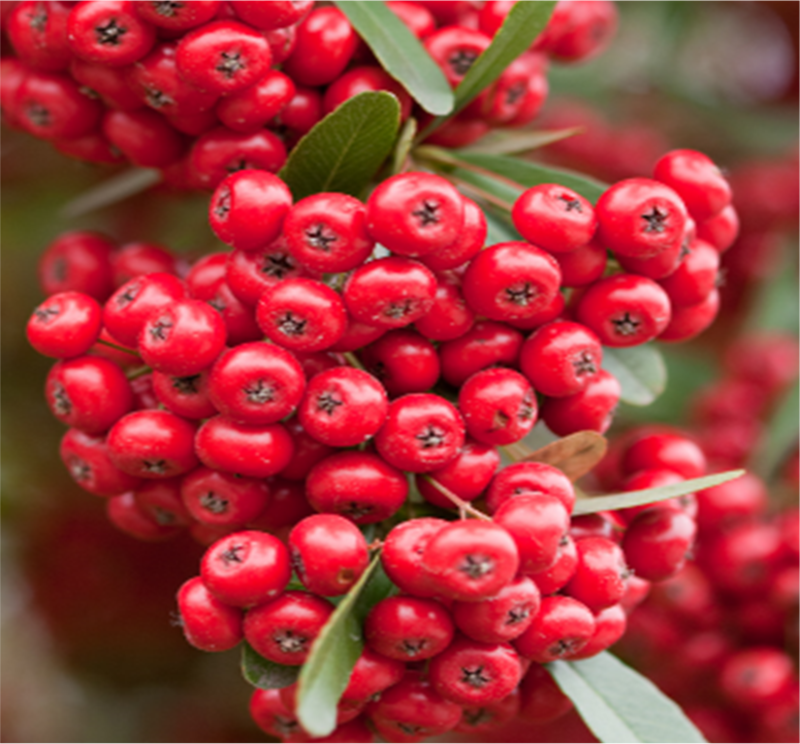 The different varieties offer four different colours of berry – crimson, red, orange and yellow which are all commonly available. 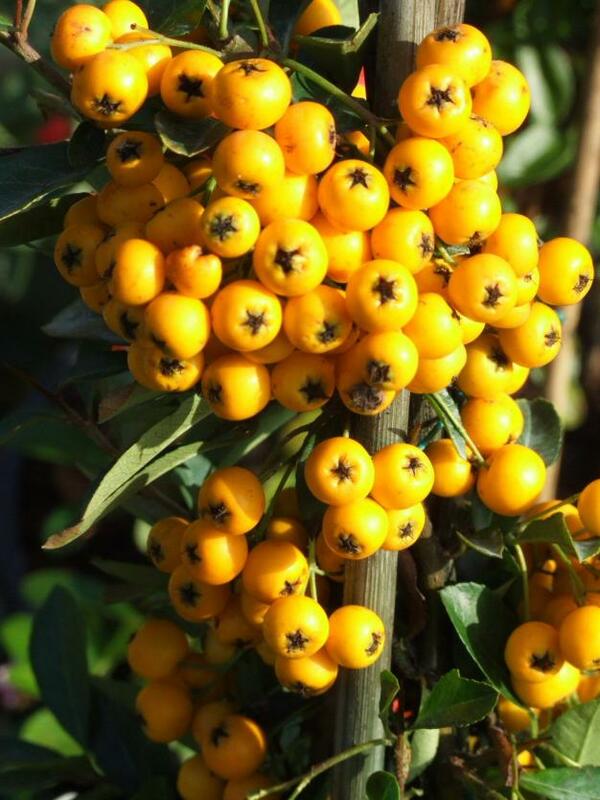 Pyracantha Soleil d’Or, is a compact shrub with mid green foliage and has bright yellow berries. Gold Charmer has slightly darker yellow berries. Orange Glow is probably the most common orange berried variety with bright orange berries, however look for ‘Firelight’ as well. Saphyr Rouge and Red Column are good red berried varieties. The shrubs around where I live are stunning at this time and well worth considering for your boundary hedges. They look particularly effective if grown to top a stone wall. That way you don’t injure passers by!